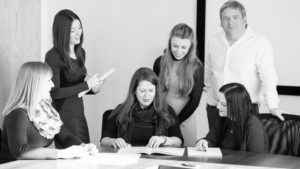 Harris Lacey and Swain have your business’s best interests at heart, which is why we provide a variety of services that are essential in supporting the development and growth of your business, as well as its future success. Because no two businesses are the same, we provide a bespoke service offering quality advice and ongoing support whenever you need it, with tailor-made packages to help improve business performance and profitability. You work on developing your business and we’ll work on the rest – we relieve your business of tasks that can be more accurately and effectively achieved by fully managing your bookkeeping and accounting needs, including the preparation of your annual accounts. Choosing payroll bureau services can free up both time and money for you to push your business to the maximum. Audit is a much under appreciated service which, if used properly, is a valuable recourse to your business. Accounting software and systems are now in a period of rapid change. The dream of flexible, always available, financial information has arrived. There are numerous packages available all with strengths and weaknesses, some which suit a particular business others that do not. Whilst many practices stick to one product for all clients, we take a different approach. We help you choose a system that works for you! Most people who start up in business do so because they have a good business proposition and the enterprise and commitment to see it through – what is needed at this time, though, is a workable platform that we can establish to cope with all of the up and coming business pitfalls as well as successes. Let us manage all of the Companies Act compliance issues that your business needs to have sewn up and that will allow you more time to develop the business to its maximum potential. With company legislation changing at the rate it does, you need to be sure you are fully aware of how the changes affect you and your fellow directors. We give you complete peace of mind in this area by carrying out your company secretarial duties for you. Everyone knows that every successful business has a well thought out plan. It is the only way to measure progress and amend processes along the way. Use the benefit of both our experience and objective thinking to devise your route map to success. Often, the best way to improve your competitive position in the marketplace is through a merger or acquisition. To achieve the necessary results, it is imperative that you have the objective advice and close support of a specialised team of experts. Otherwise, a poorly researched and badly negotiated deal could lead to a disaster.